But while it might not be much to look at, the Pixel 3 XL is a joy to hold, with an incredible matte glass back that feels like metal to the touch and won’t pick up nearly as many fingerprints as other phones. Seriously, you’re not going to want to put this phone in a case—it feels that good. Someone else will have to test the durability compared to other glass-backed phones, because I don’t want to get a scratch on mine. But the beauty of Pixel 3, as they say, isn’t skin-deep. It’s about what’s inside the notch, under the bezels, behind the screen. Google has loaded the Pixel with a ton of helpful AI and camera tricks along with some go the best specs you can get in an Android phone. 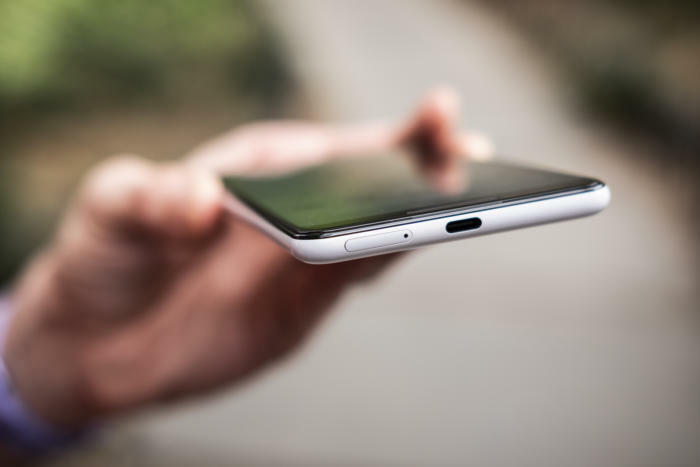 The headphone jack hasn’t made a return, though this time around Google is bundling a pair of USB-C Pixel Buds in the box along with a USB-C-to-3.5mm adapter, so your non-Bluetooth needs are covered. And both phones still have front-firing speakers as well, which Google says are 40 percent louder than before. To test them out, all Pixel buyers get a free six-month subscription to YouTube Music. And the Pixel Stand is more than just an upright Qi charger with Pixel-style curves. 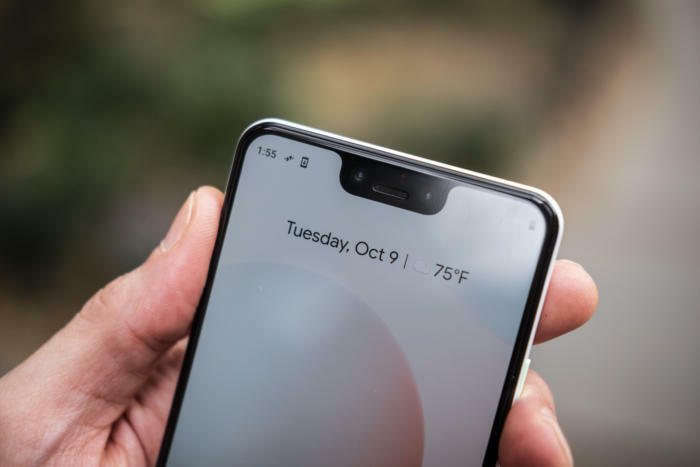 Set your Pixel on the charger and Google Assistant will take over your lock screen and turn your phone into a mini smart display, with a unique interface that provides information at a glance, song lyrics, suggestions, and OK Google support. And if you set an alarm, it will gradually illuminate to slowly wake you up rather than blaring “The Big Adventure” when the alarm strikes. And that’s what really sets the Pixel 3 apart from the field: little touches meant to surprise and delight you. Flip it over when you’re at dinner and your notifications will stop bothering you. Want to make reservations? Google is implementing its new Duplex feature first on the Pixel 3, so Assistant will be able to call restaurants for you next meal. But the biggest wow moment is a feature called Call Screen. I haven’t had a chance to try it out yet, and there wasn’t even a canned demo in the hands-on area. But the way it works is Google Assistant will offer to answer a call from a suspected spam number. You’ll get a transcription of its conversation in real time and you can choose to either pick it up or let Assistant handle it. Both Duplex features will be coming to the Pixel 3 first followed by all other Pixels next month. The front camera on the Pixel is now a dual-array rather than single one, but it’s not for portraits or studio lighting effects. It’s a wide-angle lens, so you can vary the field of view using a new slider at the bottom of the screen. Or you can turn on Photobooth to trigger the selfie cam with a funny face or a smile rather than a timer or an awkward fumble for the shutter button. And it works—it simply refused to snap a pic if I was frowning. 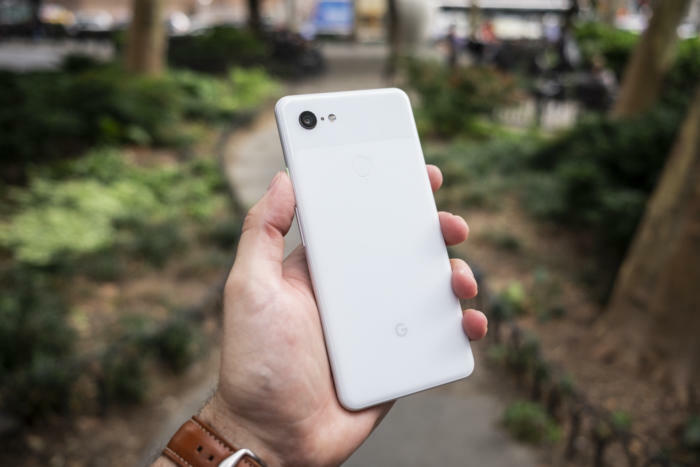 Around the back, the camera is still powered by the superb Pixel Visual Core image processor, and Google is using it to its full potential in the Pixel 3. The coolest feature is what Google calls Top Shot. 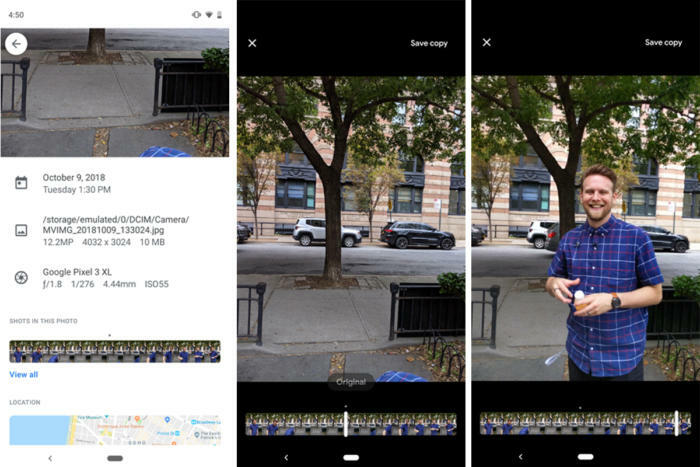 When you shoot with Motion Photos on the Pixel 3, the camera doesn’t just create mini GIFs. It also extrapolates those pics into a series of images both before and after the shot, so if you miss what you wanted to shoot, you can choose the one you meant to take. It worked incredibly well in my initial testing, and it’ should prove to be a killer feature for photo-happy parents. And that might be what most people do this year—buy an old Pixel. That’s because the Pixel 3 costs more than ever. The smaller model starts at $799, $150 more than the Pixel 2, and the XL is $899, also more than last year’s model, but only by $50. And Google recently slashed the price of the Pixel 2 XL to $699, a full $300 less than the 3 XL. In Australia, the 64GB Pixel 3 is priced at an RRP of AU$1199 while the Pixel 3 XL pricing starts at AU$1399. During its presentation, Google said the Pixel 3 is all about “doing more with your day less and with your tech.” That may be true. But if you’re spending a small fortune on a phone, you probably want to get your money’s worth too.